We can never thank our fathers enough for the special moments that make us cherish our childhood memories. It's those little things - fixing toys, barbecuing the perfect burger, applying a thousand band-aids - that count for so much and that we sometimes take for granted. 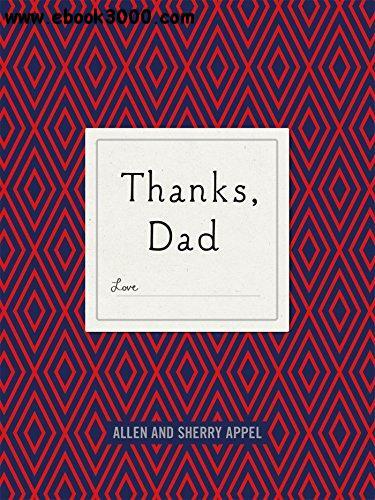 Illustrated throughout with vintage black and white drawings, each of these heartfelt thank-yous pays tribute to the thoughtful and loving acts our dads do for us each day. This small, charming book will let dads know that their guidance and support made us into the sons and daughters we are today. Thanks, Dad is the perfect gift for all occasions and dads!